Nearly 64% of retailers consider personalization a top-three priority within their business strategies, but only 15% admit to being fully implemented with personalization initiatives. This represents a major disconnect, and it’s one that shoppers feel strongly, particularly in brick-and-mortar stores. 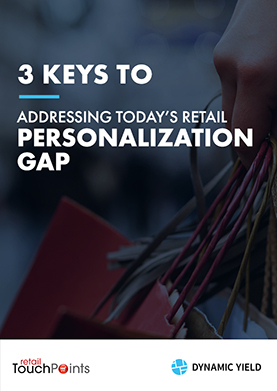 In this free report, we’ll delve into how retailers can address some of the ways personalization still falls short of consumer expectations. Download your free copy of this report by filling out the form.